Gannon is not only an outstanding 18-Hole golf course, it is a fully stocked golf shop designed to meet the needs of today’s golfer. Our goal is to provide you with what truly meets your own personal golf needs at a competitive price. 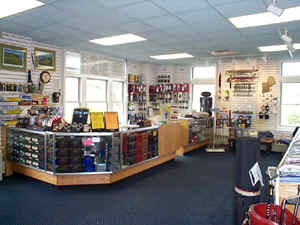 We carry multiple lines in the golf shop and have the ability to special order with many more. Our brands are designed to keep your golf bag stocked and your look vibrant. Our golf shop partners include: Titleist, Foot Joy, Taylor Made, Under Armour, Antigua, Page & Tuttle and Pukka & Black Clover Headwear… with many more to come!! **Group Lessons can be arranged individually.